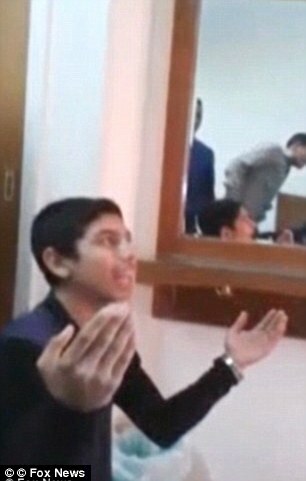 Cairo (AFP) - An Egyptian court on Thursday sentenced three Coptic Christian teenagers to five years in jail for contempt of Islam after they were seen in a video mocking Muslim prayers. The four teenagers were still free as of Thursday and Naguib said he planned to appeal the judgement. "They have been sentenced for contempt of Islam and inciting sectarian strife," Naguib told AFP. "The judge didn't show any mercy. He handed down the maximum punishment." The Egyptian Commission for Rights and Freedoms, an independent rights group, said ahead of Thursday's judgement that it watched the video and found that the four teenagers were performing scenes "imitating slaughter carried out by terrorist groups". The Commission said in a statement that the four were detained for 45 days and subjected to "ill-treatment" before being released pending trial. The group warned that there was a return "of using contempt of religion as accusations against writers and religious minorities". Egypt's constitution outlaws insults against the three monotheist religions recognised by the state -- Islam, Christianity and Judaism. Copts, who comprise up to 10 percent of Egypt's 90-million population, are the Middle East's largest religious minority. They have long suffered sectarian violence including attacks on churches. In 2014, a Coptic Christian teacher was jailed for six months after parents of her students accused her of evangelising and of insulting Islam. In a separate case the same year, a Coptic man was sentenced to six years for insulting Islam, after posting a picture of prophet Mohammed on his Facebook page with an insulting comment. Thursday's judgement comes a month after female writer Fatima Naoot was jailed for three years for insulting Islam after she criticised the slaughter of animals during a major religious festival. And in December, an Egyptian court jailed controversial Muslim scholar Islam al-Behairy for one year for remarks he made on his television programme, in which he called for reforms in "traditional Islamic discourse".